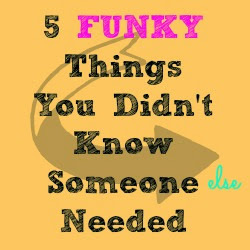 5 Funky Awesome Things You Didn't Know You Wanted! Yes, there are things that we buy as gag gifts, but sometimes I wonder, who actually wants these things? Anyone? 5 Funky Things that make Great Gag Gifts! First up, we all have been told to wash our hands before we eat. But, what if the food is dirty? Um, or food like product for those whole food eaters. Now keeping on the funky agenda, I had no idea there could be that many adult, make-up wearing Hello Kitty fanatics. but there are, So apparently they need make up that shows exactly how much they love the non-cat Kitty character. There's something for everyone. There's someone for everyone. If that's the case, please find me the match for the person interested in actually wearing this. EVEN to an ugly sweater party! So from the lovely Christmas ugly sweaters, there's costumes. And well, this guy's endowment. Um. Yeah. Yeah, scroll down after viewing that Amazon affiliate link and see the other related options. OH MY. Finally, there's kid's stuff. Most things we don't need for baby. A food source, some clothing and hugs is what they really NEED. But then there's everything else. Disposable diapers for a doll. Yes, they had these for decades, but at some point, can't we all wake up and realize DOLLs do not need disposable diapers that are more expensive than HUMAN disposable diapers? REALLY people! There are plenty of reusable doll diapers out there. Peace. Happy shopping! Melissa and Doug is celebrating National Puzzle Month! Yes, January is national puzzle month. In fact January 29th, is National Puzzle Day! Puzzles are a great way to pass time, but there are many skills kids can learn from puzzles. Adults, too, can learn from puzzles and keep the mind sharp. 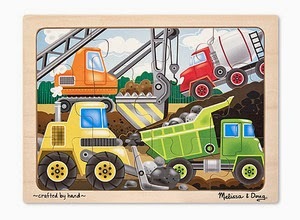 National Puzzle Month Sale - Save 15% Off Melissa and Doug's Entire Puzzle Category Using Code: PUZZLES15 At MelissaAndDoug.com! 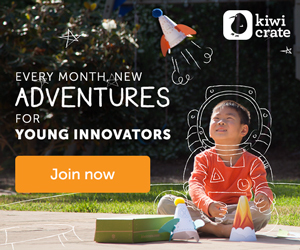 Watch this video about the fine motor skills that develop when kids use puzzles. Also see other great deals from Melissa and Doug. Buy More - Save More Sale - $5 off $50+ Orders - $10 off $100+ Orders Using Code: SAVE5 At MelissaAndDoug.com! Hanna Andersson is excited to announce the launch of our Here Comes the Sun Sale! Take 20% off select new items at HannaAndersson.com now through February 16th. These are affiliate links, which help support this site and bringing you great deals! Here Comes The Fun! 20% Off Select New Items at HannaAndersson.com. Hurry, offer ends soon. Another great sale at Hanna Andersson! Also launching, our baby BOGO! Save 50% off any 2nd baby item now through March 8th. Save 50% Off Any 2nd Baby Item at HannaAndersson.com. Save 50% Off Any 2nd Baby Item at HannaAndersson.com. Shop Now.